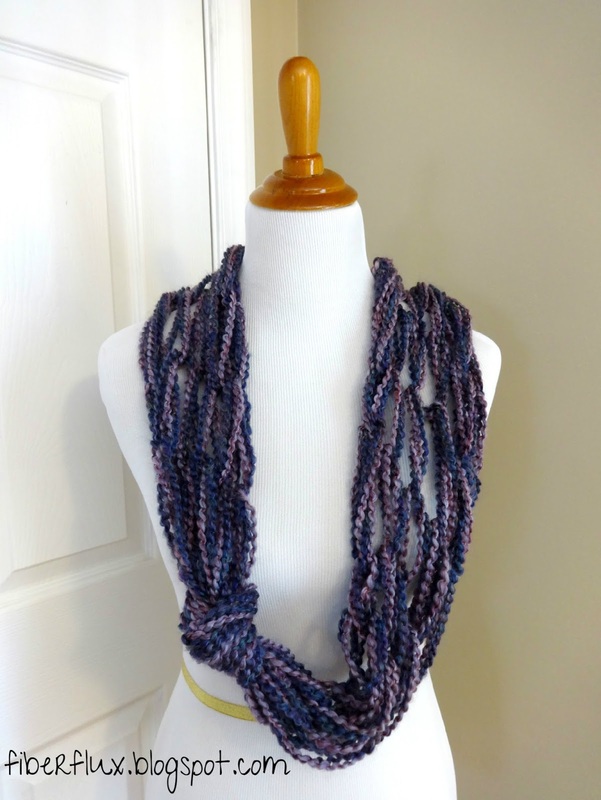 Fiber Flux: Free Knitting Pattern...Arm Knit Knotted Cowl! 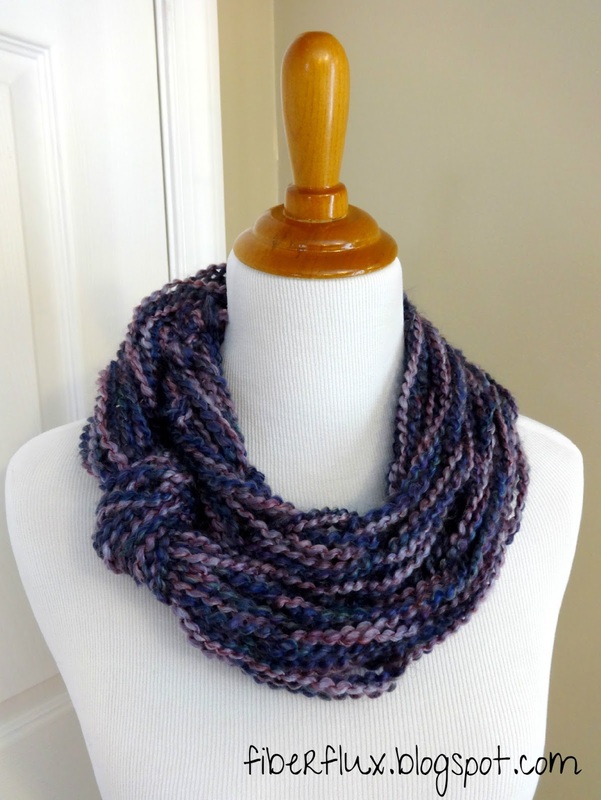 Free Knitting Pattern...Arm Knit Knotted Cowl! 2 skeins Lion Brand Homespun yarn (Note: I didn't use the full skeins of each yarn ball. Also, I chose two different colors...you can alternatively use the same color for each ball...colors shown are "Barrington" and "Baroque"
Note: Sizing will vary as this is a very loose, large gauge project. I recommend working rows to the length desired. 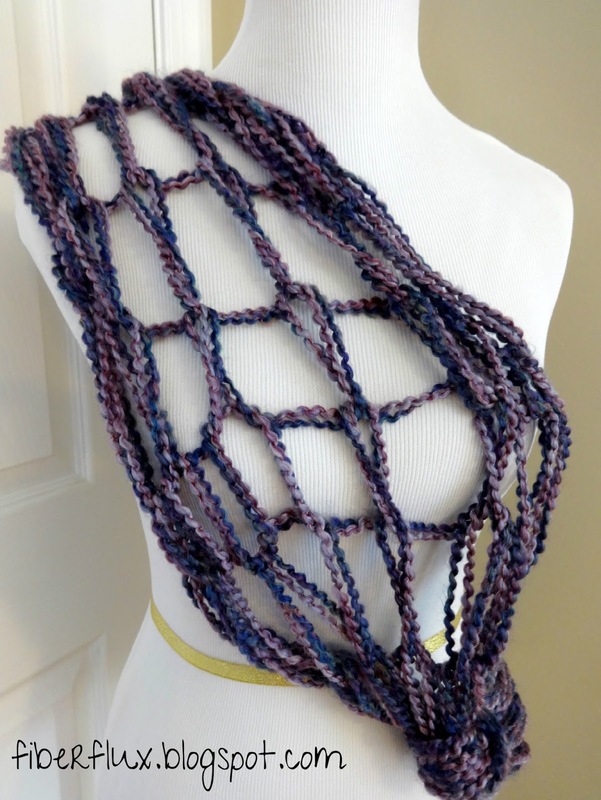 Note: This pattern is written like a traditional knitting pattern, because it is made the same way, with your "tools" (arms vs. needles) being different. 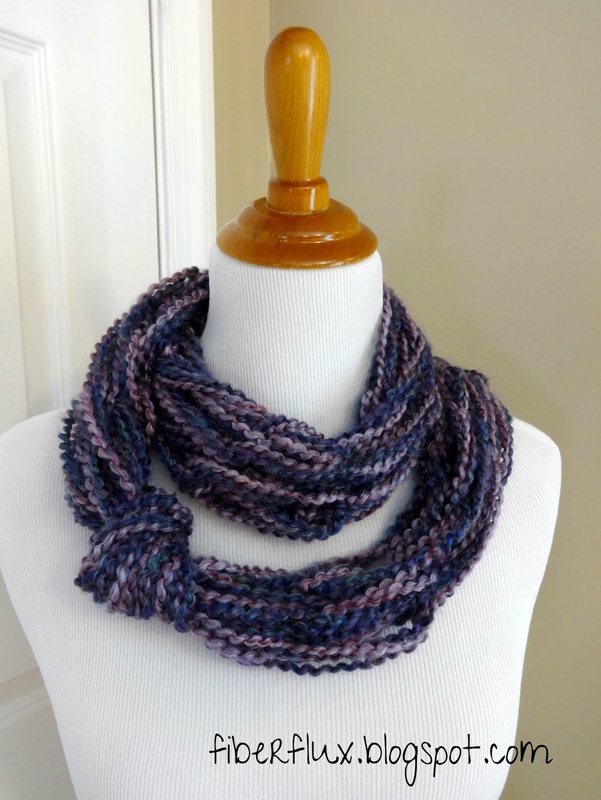 For detailed help, I encourage you to scroll down and watch the videos, "How to Make the Arm Knit Knotted Cowl" and "Basics of Arm Knitting" to learn more. Repeat row 1 nineteen more times or until desired length. Tie a knot in the middle of the piece. After knotting, seam and weave in the ends. 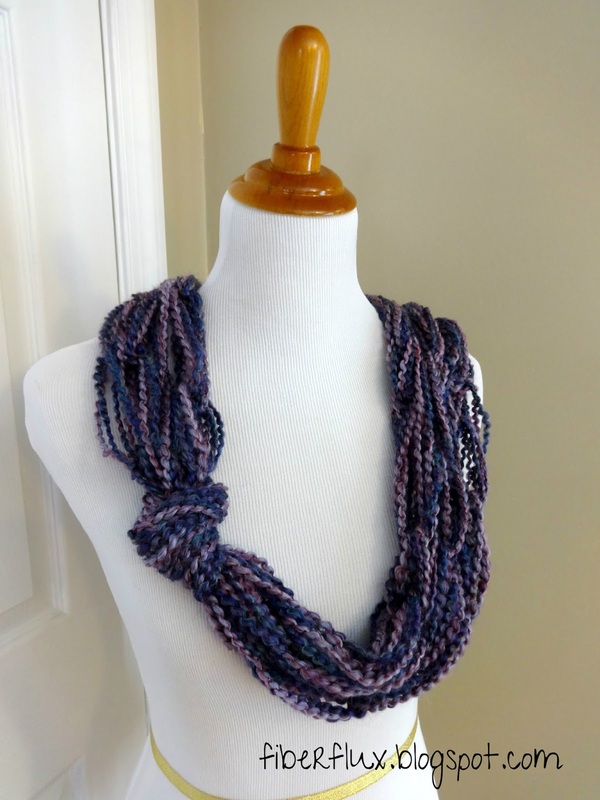 Because the weave of the finished fabric is so large and loose, I used my hands to weave and seam instead of a needle and it worked great! Wishing you many happy and stitchy adventures! Fantastic , Thanks for sharing !